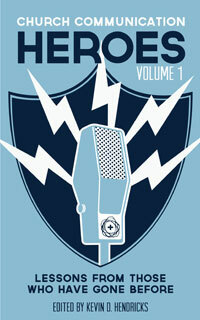 Church communicators need heroes. Someone to look up to. Someone to give a jolt of inspiration, a shot of encouragement, a challenge that we can do more than this. 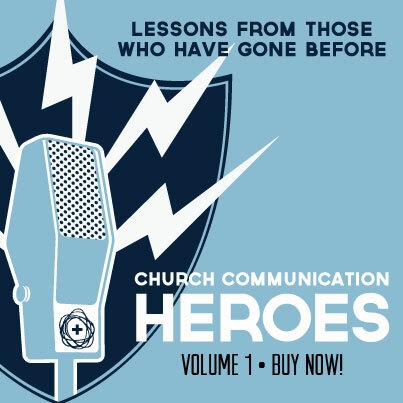 While mulling over mobile, sizing up strategy and battling bulletins, church communicators need to know we’re not alone. The tools of the 21st century may be new, but the struggles are familiar. There are heroes who have walked this path before. They were revolutionaries, rebels and reformers. They were also artists, writers and speakers—communicators just like us. They are heroes to encourage us in our darkest days and challenge us to do our greatest work for the greatest story ever told. The determined Aimee Semple McPherson founded a denomination and pioneered radio. Artist Vincent van Gogh didn’t have it all together but still created incredible works of art. A poet, activist, lawyer, teacher and priest, Pauli Murray refused to be pinned down. The martyr of El Salvador, Oscar Romero, communicated the truth in the face of injustice. Walt Disney worked in imagination, breathing life into wonderful ideas and making them reality. 13th century traveler Bar Sauma road tripped halfway around the world, embracing the church at every stop. The tenacious conductor on the Underground Railroad, Harriet Tubman, had a deep and powerful motivation. The humble St. Francis of Assisi spent his life trying to make his faith and actions match, with radical results. The first woman to be ordained as a minister in the U.S., Antoinette Brown Blackwell put her faith into action. Civil rights hero Martin Luther King Jr. communicated his vision with powerful words. Teen hero Joan of Arc carried a banner into battle instead of a sword. Missionary Hudson Taylor embraced cultural customs in order to make connections. Social reformer Pandita Ramabai refused to bow to “that’s how we’ve always done it,’ and pushed for women’s rights in India. His name isn’t well known, but the words of Athanasius of Alexandria are repeated every week in the Nicene Creed.